The appointment of Carlisle, a longtime GM executive, was part of an effort to bring Cadillac back into the fold after executives soured on the idea of allowing the brand to operate somewhat independently ahead of a big product push. 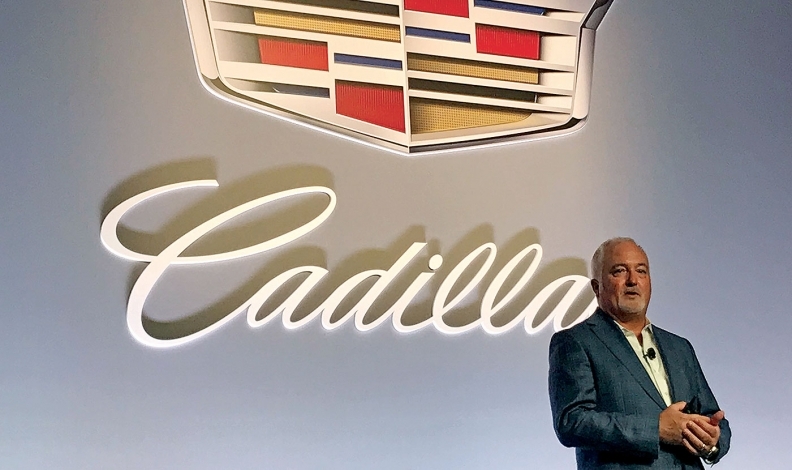 Former GM Canada president Steve Carlisle’s experience turning around the company’s performance in this country could prove useful in his new role as head of the long-struggling Cadillac brand. In his first interview with Automotive News Canada since moving to Cadillac, Carlisle said GM Canada progressed “quite a way” forward during his four-year tenure as president, which began November 2014. He pointed to GM’s Canadian sales, which rose 21 per cent between 2015 and 2017, as well as a $554-million investment in the automaker’s Oshawa, Ont., plant that was seen as a lifeline for the factory. “We moved the business quite a considerable distance from where it was at the beginning of 2015 to where it was at the end of the first quarter this year, whichever metric you look at in terms of sales and market share, position in the market [or] our position in the dealer satisfaction rankings,” he said. Boosting dealer satisfaction is a key challenge in his current role. Many dealers in the United States were at odds with Carlisle’s predecessor, Johan de Nysschen, over the brand’s Project Pinnacle, an ambitious plan to overhaul the brand’s dealership operations that was launched in 2017. At Pinnacle’s outset, the program drew the ire of dealers frustrated by faltering sales as Cadillac’s sedan-heavy lineup struggled in a market favouring light trucks. But Carlisle said Cadillac will work to ensure dealers have a say in the program. Dealer relations were also a major issue for Carlisle when he joined GM Canada. At that time, the company was reeling from lawsuits stemming from GM’s decision to cut about 200 Canadian dealerships in the wake of its 2009 bankruptcy. The company settled those lawsuits under Carlisle, and dealer relations improved as GM gained Canadian market share. Carlisle said Cadillac’s plan to move its headquarters back to Michigan after four years in New York City was another example of trying to build stronger relationships within the company. He said doing so is crucial as Cadillac implements an aggressive product strategy that will launch a new or redesigned vehicle every six months until 2020. “We look at the number of launches that we’re going to go through, you can just make an argument that it’s so much easier if the makers and sellers, so to speak, are closer together so that we can remove the barriers of distance and time,” he said. Carlisle said the brand’s marketing efforts will be overhauled and its “Dare Greatly” advertising campaign will be phased out as the products are rolled out, beginning with the new XT4 utility vehicle. The new marketing campaign will be livelier and will focus on the vehicles’ styling and technology, he said. One of those technologies is bound to be Cadillac’s hands-free driving assist, Super Cruise, which launched on high-end CT6 trims. GM plans to extend Super Cruise throughout Cadillac’s lineup by 2020 and eventually across the entire GM lineup, though Carlisle said Cadillac vehicles will be the first to receive upgraded versions. He said Cadillac vehicles must have cutting-edge technology if the brand hopes to become more competitive. Although much of Carlisle’s focus in his new role has been on the United States and China Cadillac’s two largest markets by volume, he said Canada is still important to him and the brand. “Canada’s the third largest market in the world for Cadillac. It’s an exciting oppor tunity, and the outlook is that will stay that way for the foreseeable future. It’s pretty high on my list.